” The federal government set a record tax haul in April, taking in nearly a half-trillion dollars in one month alone, according to Congressional Budget Office statistics released Thursday. 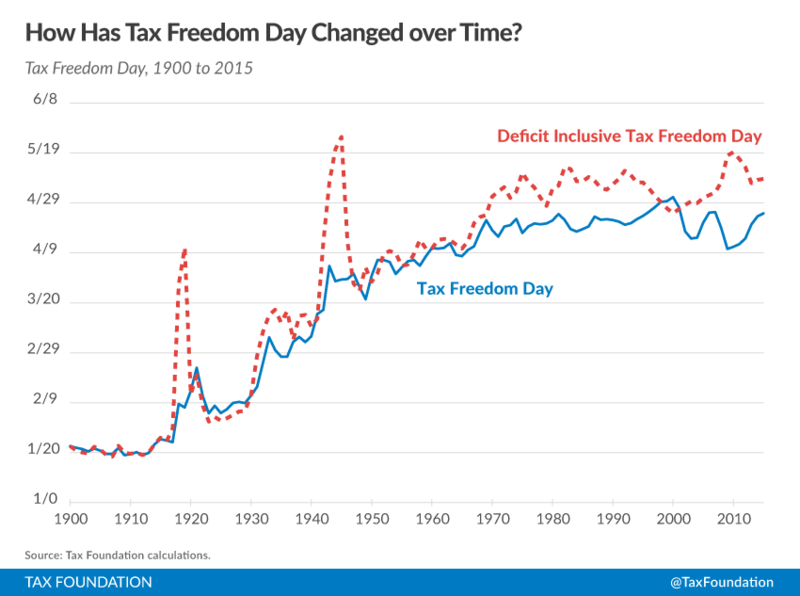 April is always a busy month with the tax deadline on April 15, but this year’s haul was historic, totaling $472 billion, far outstripping the previous monthly record, set last April, of $414 billion. 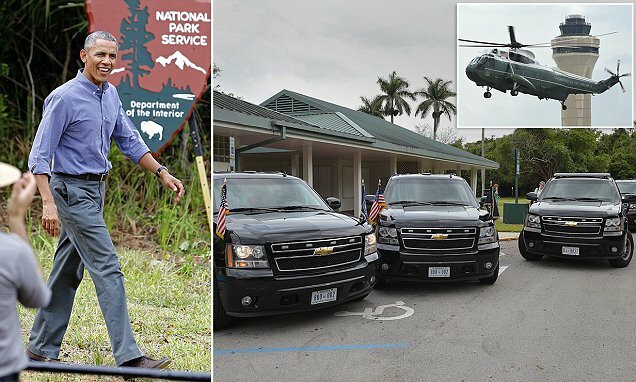 ” With swampy wetlands and alligators as his backdrop, President Barack Obama will use a visit to Florida’s Everglades to warn of the damage that climate change is already inflicting on the nation’s environmental treasures — and to hammer political opponents he says are doing far too little about it. Obama’s trip to the Everglades on Wednesday, timed to coincide with Earth Day, marks an attempt to connect the dots between theoretical arguments about carbon emissions and real-life implications. With his climate change agenda under attack in Washington and courthouses across the U.S., Obama has sought this week to force Americans to envision a world in which cherished natural wonders fall victim to pollution. According to CBS News White House Correspondent Mark Knoller, Obama’s Earth Day trip to the Everglades will cover 1,836 miles roundtrip and consume 9,180 gallons of fuel on Air Force One. Pres Obama’s Earth Day trip will cover 1,836 miles roundtrip and consume 9,180 gallons of fuel on Air Force One. Do you believe America’s financial problems from 2008 have been fixed? Do you think we’ll have another banking crisis in the next few years, or a problem with our currency? If you are concerned about these possibilities, you are not alone. After all: What we are witnessing in America today is unprecedented. Our government has embarked on a gross, out-of-control experiment, expanding the money supply 400% in just six years, and more than doubling our national debt since 2006. It took our nation 216 years to rack up the first $8.5 trillion in debt… then just 8 more years to double that amount. ” The American people deserve to know what our government has done, what’s coming next, and what you must do to protect yourself and your family from the disaster our government has created. Many of the smartest people in the industry… like CIA and Pentagon insider Jim Rickards… hedge fund multimillionaire Jim Rogers… and superstar investor Kyle Bass (the minimum to invest with Bass is $5 million), are all taking precautions against a serious market crash and financial crisis. Rogers moved his entire family to Singapore to essentially get them out of America. ” Legislation introduced by a freshman congresswoman would ban lawmakers from using taxpayer funds for first-class flights and personal car leases. Rep. Gwen Graham, D-Fla., announced the Congressional Travel Perks Elimination Act in a recent statement. 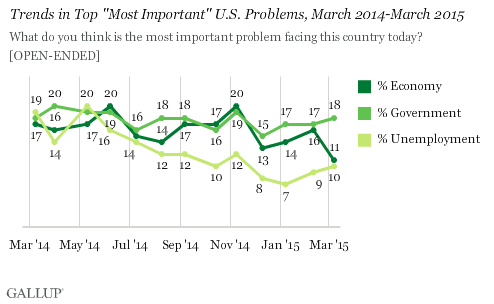 ” Americans continue to name the government (18%) as the most important U.S. problem, a distinction it has had for the past four months. Americans’ mentions of the economy as the top problem (11%) dropped this month, leaving it tied with jobs (10%) for second place. Though issues such as terrorism, healthcare, race relations and immigration have emerged among the top problems in recent polls, government, the economy and unemployment have been the dominant problems listed by Americans for more than a year. The latest results are from a March 5-8 Gallup poll of 1,025 American adults. ” Many people are living longer, but not to age 112 or beyond — except in the records of the Social Security Administration. The SSA’s inspector general has identified 6.5 million number-holders age 112 — or older — for whom no death date has been entered in the main electronic file, called Numident. ” We obtained Numident data that identified approximately 6.5 million numberholders born before June 16, 1901 who did not have a date of death on their record,” the report states. Some of the numbers assigned to long-dead people were used fraudulently to open bank accounts. “ It is incredible that the Social Security Administration in 2015 does not have the technical sophistication to ensure that people they know to be deceased are actually noted as dead,” said Sen. Ron Johnson (R-Wis.), chairman of the Homeland Security and Governmental Affairs Committee. “ Tens of thousands of these numbers are currently being used to report wages to the Social Security Administration and to the IRS. People are fraudulently, but successfully, applying for jobs and benefits with these numbers. Making sure Social Security cleans up its death master file to prevent future errors and fraud is a good government reform we can all agree on,” Johnson said. According to the IG, the Social Security Administration matches death reports received from various sources against its payment records, then records the date of a number-holder’s death in its Numerical Identification System, or Numident. Information from Numident is then used to create SSA’s “Death Master File,” which is used by financial institutions and various government entities to prevent identity fraud. If a death is not recorded on the Numident, it will not appear in the DMF. ” Unless Congress takes action, the U.S. will hit its debt limit on Mar. 16, but would begin taking “extraordinary measures” to finance the government on a temporary basis, according to the U.S. Treasury. ” ” Accordingly, I respectfully ask Congress to raise the debt limit as soon as possible,” Lew wrote in his letter. Debt , debt and more debt as far as our children and theirs can see . A changing of the “guard” with the new republican control of both legislative branches amounts to nothing but more of the status quo . ” After paying your rent or mortgage, transportation, utilities, and any other bills, how much do you have left at the end of the month? The answer probably depends largely on where you live. FindTheBest created a cost of living index based on 2013 family budget estimates for housing, taxes, healthcare, childcare, transportation, and “other necessities” (like food) from the Economic Policy Institute to compare, in over 600 counties and metro areas across the US, where your dollar goes the farthest. See about your area at Business Insider . 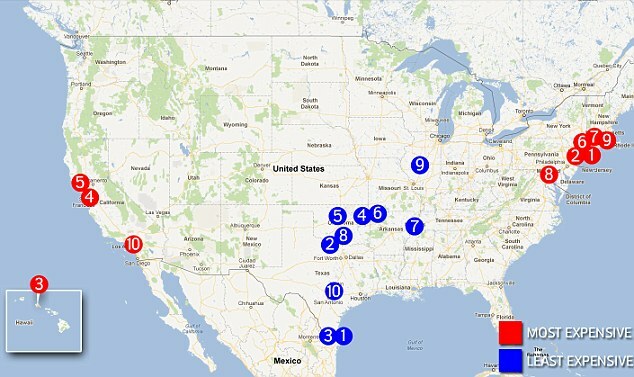 Something to consider as you peruse the map above; which states/areas are producing jobs ? With the exception of the DC area which is awash in record tax receipts , the most expensive areas are also the ones struggling to produce enough growth to meet the local population’s demands . 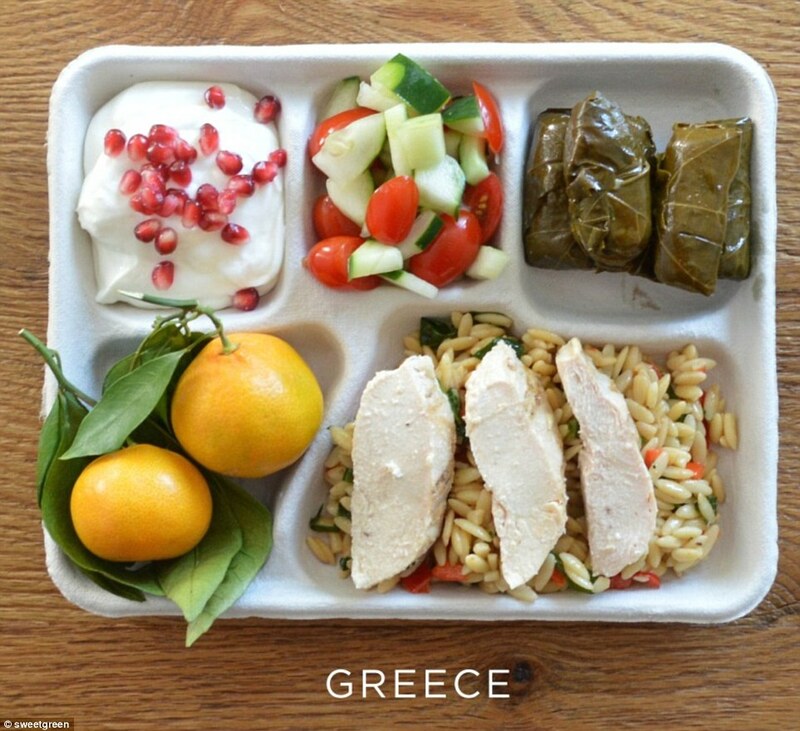 ” Mouthwatering photos of school lunches served around the world reveal even children in Ukraine, Estonia and Greece are treated to delectable meals each day. School children in America, meanwhile, aren’t nearly so lucky. 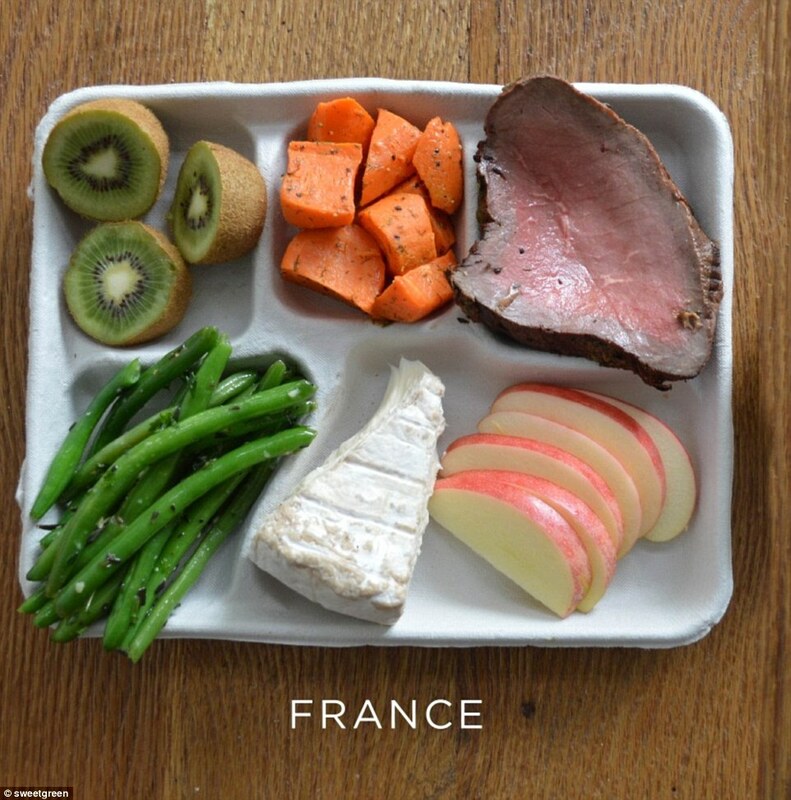 Whereas a kid in France might be treated to a juicy steak and a hunk of brie, the richest country in the world’s youths are more likely to receive unidentified meat served alongside little more than a starch like white pasta, fries or a roll. 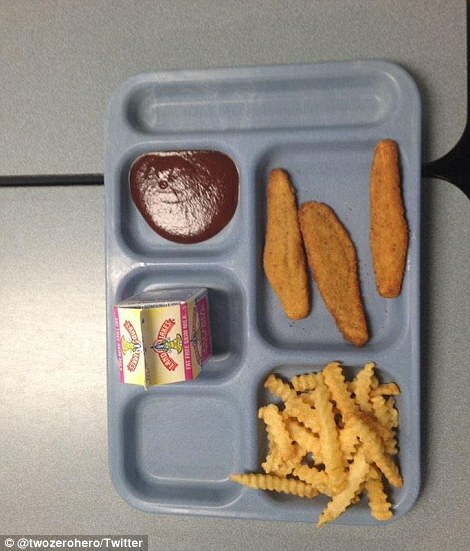 ” The first new school lunch standards championed by Michelle Obama have been phased in over the last several school years. In addition to whole grain requirements, the rules set fat, calorie, sugar and sodium limits on foods in the lunch line and beyond. While many schools have had success putting the rules in place, others have said they are too restrictive and costly. 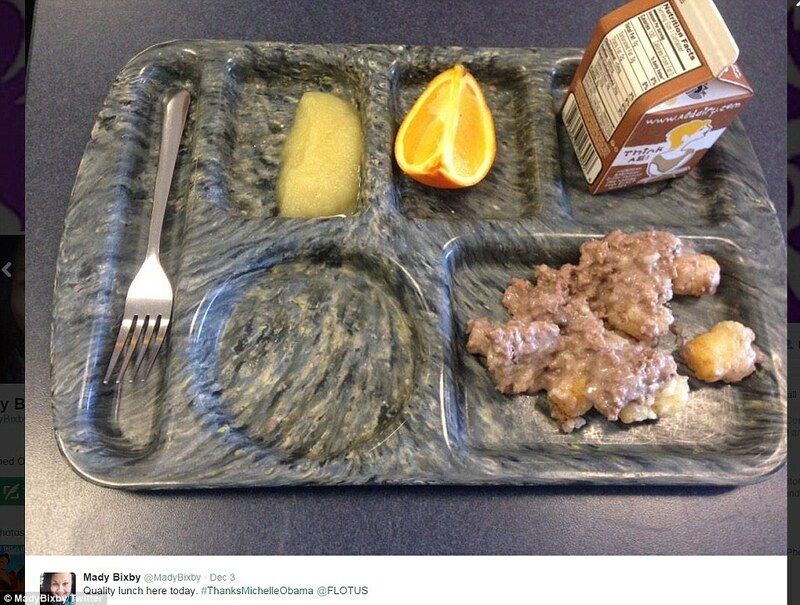 Backlash against the rules have spawned a wave of social media photos along with the tag #thanksMichelleObama. 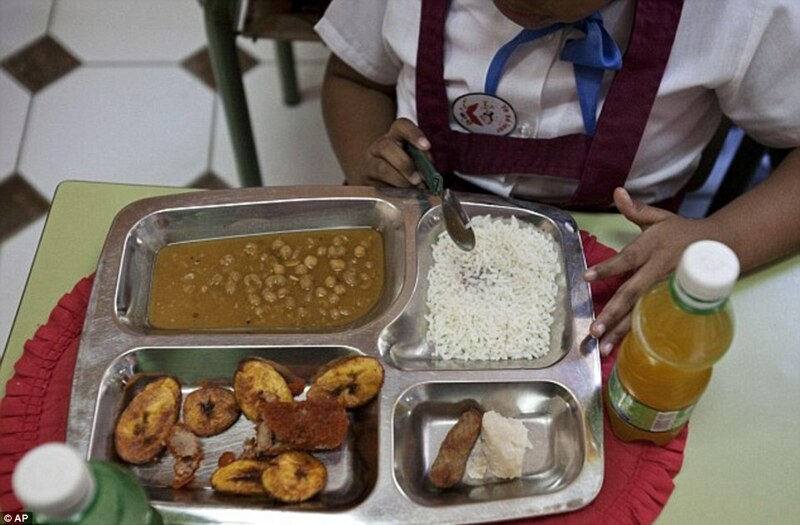 If these pictures are any indication, schools have responded to the rules by cutting down on portions to reduce fat and calories rather than by using potentially more costly ingredients. ” Funding for the Department of Homeland Security (DHS)—which is due to expire at the end of this week unless an agreement in Washington is reached—has continued to rise under President Barack Obama. His administration claims the agency’s increased funding is necessary to protect the homeland, but records show that the DHS has continued to increase its spending on furniture and office makeovers as its budget has been increased. A review of records on the official government spending website by the Washington Free Beacon shows the agency has spent nearly $150 million on office furniture and makeovers since Obama took office. Those fiscal years for which he has been responsible and whose budgets have been enacted are FY2010 through 2014. “ The FY 2015 Budget reflects the Administration’s strong commitment to protecting the homeland and the American people through the effective and efficient use of DHS resources, continuing the focus on preserving frontline priorities across the Department by cutting costs, sharing resources across Components, and streamlining operations wherever possible,” the administration’s request states. Each year under Obama the administration, DHS funding has increased. The FY 2015 budget request is $60.9 billion, compared with FY 2014’s budget of $60.7 billion. In fiscal year 2013, the DHS budget was $59.2 billion. By contrast, President George W. Bush’s last budget for DHS for FY 2009 was $52.5 billion. Who do you suppose is responsible for the death of the middle class Joe ? I’ll give you a hint , only one pair of Bozo’s have been in charge for the past half dozen years . ” Cruise-boat dinners, Super Bowl parties and golf tournaments were part of Department of Energy conferences that cost taxpayers more than $21 million over a 16-month span, according to a new report from the department’s inspector general. The report examined more than 300 Energy Department conferences held from April 2013 through September 2014 and found that, in at least some instances, work wasn’t the only thing on the agenda. “ Our review also identified conference information regarding social events that in our view could lead to negative public perceptions. Existing guidance notes that participation in any associated social events should be limited and restrained to the greatest degree practicable to avoid the appearance of impropriety,” the inspector general said in the report. Washington Times has more on the lavish lifestyles of the Federal employee courtesy of our taxpayer dollars . Somebody really did their homework on this one. Best on the subject to date. 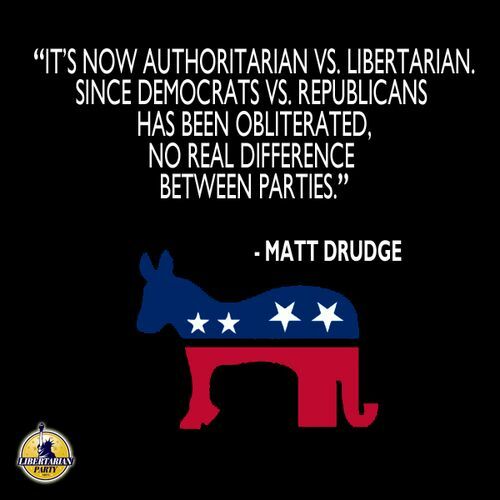 It does not have a political slant to it, it’s just the facts: Not Democratic, not Republican, not liberal and not conservative. What if 20 Million Illegal Aliens Vacated America? Hmmm, I thought, what would happen? So I did my due diligence, buried my nose as a reporter into the FACTS I found below. It’s a good question… it deserves an honest answer. Over 80% of Americans demand secured borders and illegal migration stopped. But what would happen if all 20 million or more vacated America? The answers I found may surprise you! In California, if 3.5 million illegal aliens moved back to Mexico, it would leave an extra $10.2 billion to spend on overloaded school systems, bankrupt hospitals and overrun prisons. It would leave highways cleaner, safer and less congested. Everyone could understand one another as English became the dominant language again. In Colorado, 500,000 illegal migrants, plus their 300,000 kids and grandchildren would move back “home,” mostly to Mexico. That would save Colorado an estimated $2 billion (other experts say $7 billion) annually in taxes that pay for schooling, medical, social-services and incarceration costs. It means 12,000 gang members would vanish out of Denver alone. Colorado would save more than $20 million in prison costs, and the terror that those 7,300 alien criminals set upon local citizens. Denver Officer Don Young and hundreds of Colorado victims would not have suffered death, accidents, rapes and other crimes by illegals. Denver Public Schools would not suffer a 67% dropout/flunk rate because of thousands of illegal alien students speaking 41 different languages. At least 200,000 vehicles would vanish from our gridlocked cities in Colorado. Denver’s 4% unemployment rate would vanish as our working poor would gain jobs at a living wage. In Florida, 1.5 million illegals would return the Sunshine State back to America, the rule of law, and English. In Chicago, Illinois, 2.1 million illegals would free up hospitals, schools, prisons and highways for a safer, cleaner and more crime-free experience. If 20 million illegal aliens returned ‘home,’ the U.S. Economy would return to the rule of law. Employers would hire legal American citizens at a living wage. Everyone would pay their fair share of taxes because they wouldn’t be working off the books. That would result in an additional $401 billion in IRS income taxes collected annually, and an equal amount for local, state and city coffers. No more push ‘1’ for Spanish or ‘2’ for English. No more confusion in American schools that now must contend with over 100 languages that degrade the educational system for American kids. Our overcrowded schools would lose more than two million illegal alien kids at a cost of billions in ESL and free breakfasts and lunches. We would lose 500,000 illegal criminal alien inmates at a cost of more than $1.6 billion annually. That includes 15,000 MS-13 gang members who distribute $130 billion in drugs annually would vacate our country. In cities like L.A., 20,000 members of the ’18th Street Gang’ would vanish from our nation. No more Mexican forgery gangs for ID theft from Americans! No more foreign rapists and child molesters! Losing more than 20 million people would clear up our crowded highways and gridlock. Cleaner air and less drinking and driving American deaths by illegal aliens! America’s economy is drained. Taxpayers are harmed. Employers get rich. Over $80 billion annually wouldn’t return to the aliens’ home countries by cash transfers. Illegal migrants earned half that money untaxed, which further drains America’s economy which currently suffers an $8.7 trillion debt. $8.7 trillion debt!!! At least 400,000 anchor babies would not be born in our country, costing us $109 billion per year per cycle. At least 86 hospitals in California, Georgia and Florida would still be operating instead of being bankrupt out of existence because illegals pay nothing via the EMTOLA Act. Americans wouldn’t suffer thousands of TB and hepatitis cases rampant in our country – brought in by illegals unscreened at our borders. Our cities would see 20 million less people driving, polluting and grid locking our cities. It would also put the ‘progressives’ on the horns of a dilemma; illegal aliens and their families cause 11% of our greenhouse gases. Over one million of Mexico’s poorest citizens now live inside and along our border from Brownsville, Texas, to San Diego, California, in what the New York Times called, ‘colonias’ or new neighborhoods. Trouble is, those living areas resemble Bombay and Calcutta where grinding poverty, filth, diseases drugs, crimes, no sanitation and worse. They live without sewage, clean water, streets, roads, electricity, or any kind of sanitation. By enforcing our laws, we could repatriate them back to Mexico. We should invite 20 million aliens to go home, fix their own countries and/or make a better life in Mexico. We already invite a million people into our country legally annually, more than all other countries combined. We cannot and must not allow anarchy at our borders, more anarchy within our borders and growing lawlessness at every level in our nation. It’s time to stand up for our country, our culture, our civilization and our way of life. 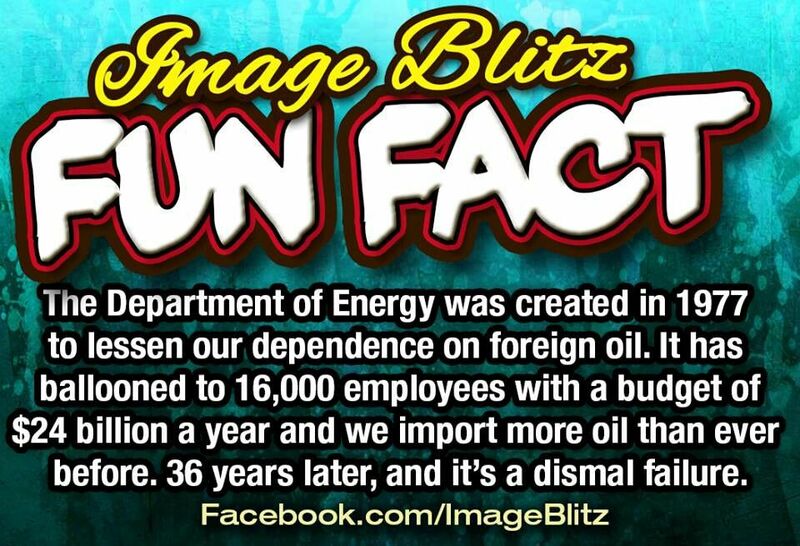 Total cost a whopping $538.3 BILLION DOLLARS A YEAR ! If this doesn’t bother YOU, then just delete the message. Otherwise, forward this to everyone YOU know! While we seem to be a little behind the times seeing as how this commentary was published years ago , we felt that it was worth repeating . Although we were unable to track down a link to the original article it has been published on an endless number of blogs and websites over the past few years . ” President Obama is unveiling a $3.99 trillion budget that is “designed to bring middle class economics into the 21st Century,” the White House announced Monday. The proposed budget “invests in helping working families make their paychecks go further, preparing hardworking Americans to earn higher wages, and creating the infrastructure that allows businesses to thrive and create good, high-paying jobs,” the White House said in a statement. To pay for new tax credits and other programs involving education, child care, paid leave, and new road and bridge construction, the budget calls for tax hikes on wealthier Americans by closing certain loopholes. • A child care tax credit of up to $3,000 per child. • $750 million for a Department of Education preschool development program, an increase of $500 million. • More than $3 billion for science, technology, engineering and math (STEM) education. • A $500 tax credit for “second earners” in working families. • A program encouraging paid leave programs for employees. • Two years of community college tuition for qualified students, a program that would cost $60 billion over 10 years. Note that a great deal of this spending is earmarked under the guise of “investment” in education which is just another means of rewarding one of his strongest constituencies , the teacher’s unions . ” Sigma Alpha Mu’s national office has ordered its University of Michigan chapter to suspend all activities for an indefinite period of time following a weekend of vandalism at a northern Michigan ski resort on Jan. 17-18. The university released a statement Thursday evening saying that the SAM national office’s suspension includes all meetings, chapter events, philanthropy, recruitment, candidate education, social activities and other Greek life activities on the Ann Arbor campus. ” Seven years after the recession began, only one in 50 U.S. counties has fully bounced back, according to a study the National Association of Counties released Monday. 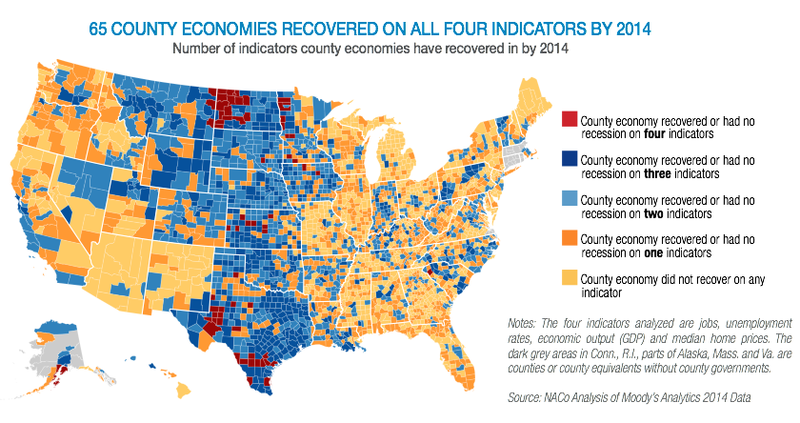 The 2014 County Economic Tracker shows that 65 of the nation’s 3,069 counties have met or surpassed prerecession levels in four measured categories: jobs, unemployment rate, economic output and home prices. Those places range from Anderson County, S.C., to McKenzie County, N.D., to Kodiak Island, Alaska. National employment surpassed 2007 levels during 2014 and the U.S. gross domestic product had fully recovered from the recession by 2011. But the national unemployment rate was 5.6% in December compared with 5% when the recession began seven years earlier. And housing values in much of the country have yet to fully return. The recovered counties are largely located in energy-rich areas and have small populations. Of the 65 recovered counties, 24 are in Texas and 16 are in North Dakota. The others are generally in the middle of the country, including nine in Minnesota and eight in Kansas. This article , more than any other demonstrates that the nearly $3 Trillion in government stimulus spending was nothing more than wasteful cronyism handed out to favored unions , interest groups and corporations . Little or none trickled down to benefit the taxpayers actually footing the bill . ” President Barack Obama will need the approval of Congress to realize his proposal for making two years of community college free for students. So far, that plan doesn’t have an official price tag — other than “significant,” according to White House officials. If all 50 states participate, the proposal could benefit 9 million students each year and save students an average of $3,800 in tuition, the White House said. Regardless of the “bipartisan appeal” how the f**k is a government that is 18 trillion dollars in the hole supposed to pay for yet another feel-good , vote buying entitlement ? Simple mathematics puts a real figure ($34.2 Billion annually) to the White House’s estimate of a “significant” cost and as always with State spending we can be sure the estimate is a very lowball one . WTF ? And putting aside the cost , where in the Constitution is the “right” to a free education ? What could possibly go wrong ? ” The FTSE 100 slid on the first day of trading in 2015. Here are 10 warning signs that the markets may drop further. For five years, investor fear of risk has been drugged into somnolence by repeated injections of quantitative easing. The lack of fear has led to a world where price and risk have become estranged. As credit conditions are tightened in the US and China, the law of unintended consequences will hold sway in 2015 as investors wake up. The Vix, the so-called “fear index” that measures volatility, spiked to 18.4 on Friday, above the average of 14.5 recorded last year. ” The common reaction to a budget crisis is reducing personnel and cutting services. The focus of this article is to provide police agencies with an alternative to personnel and service reductions. This alternative could help the survival of a city and maintain or expand police service through generating new revenue streams as a proactive approach to meet the fiscal crisis of today and the uncertain future of tomorrow. 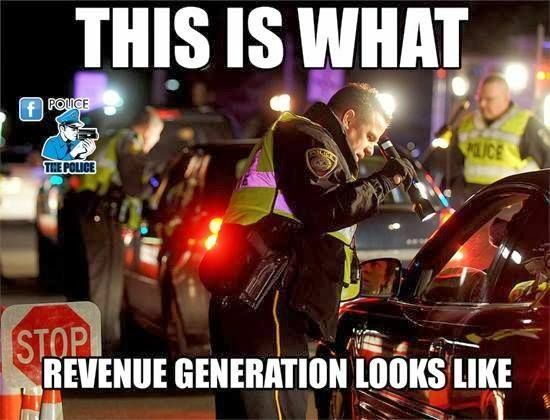 While generating revenue streams is not new to most agencies, the focus and resources necessary to meet current and emerging public safety needs are unprecedented in law enforcement’s history. Law enforcement executives are accustomed to the ebb and flow of fiscal budgets. The current trend, however, is much more far reaching and will impact almost all cities in California and most likely all communities in the United States. Five years ago, the current state of the economy facing cities and counties was not even a concern. Now, however, many law enforcement agencies are facing the reality of severe budget cuts, reduced workforce, and the elimination or reduction of many law enforcement programs. Today, police chiefs are being asked to look for ways of economizing, increasing efficiency, eliminating redundancies, and finding revenue sources. This trend will be prompted in two possible ways. First, increasing financial pressure will require more severe budget cuts to the point that many agencies will be able to provide only basic services. Second, cities will begin to see successes at nearby agencies and look to new revenue streams as a panacea to forestall reduced services or even bankruptcy. Based on the research for this article, there is a clear presumption of need for law enforcement to generate new income streams. A first necessary step in that process is to examine possible revenue-generating ideas. police department–run firearm safety classes. ” Former House of Commons page Olivia Dorey was once one of the people hand-delivering the federal budget to MPs when the finance minister rose to deliver his speech. That task inspired her to try to read through a budget so she knew better what it contained. ” And I couldn’t. I couldn’t find the numbers, I couldn’t make sense of what they were trying to explain … I’m used to doing my own personal budgets, and this book, this book was nothing like a budget to me,” she said in an interview in Ottawa. Dorey studies public administration at the University of Ottawa, and is interested in politics. But she still couldn’t figure out the budget. That experience jarred her to begin a personal mission to build a website where people could key in some basic demographic information and find out how the federal budget affected them. Some of that information is available — specific funding for a hospital or transit, for example, or qualifications for Old Age Security — but much of it is simply not publicly accessible, or hard to follow after an initial announcement. That’s led Dorey to start lobbying MPs to build budgets differently. ” If I can’t understand public finance and find the information I need, what hope do other Canadians have understanding it?” Dorey said. She believes federal, provincial and municipal budgets should be clear enough that people like her grandparents in Bridgewater, N.S., who don’t have university educations, can understand them. Her campaign led her to a strong ally: former parliamentary budget officer Kevin Page. The budget, the annual planning document for government spending. The estimates, which contain much more detailed information about spending. The supplementary estimates, the update to the estimates. ” I wish I could tell you that this is a bad Bush policy that Obama’s long since discontinued but we know better, don’t we? I wonder what reward we’ll be offering for this turd, say, circa 2020. The defense here, I take it, will be to point to the amount of time that’s elapsed since they released him and claim that no one could have known in 2006 that this guy would grow into a fish big enough to justify a multimillion-dollar reward. Which raises the question: What sort of fish did they think he’d grow into? A garden-variety battlefield jihadi? 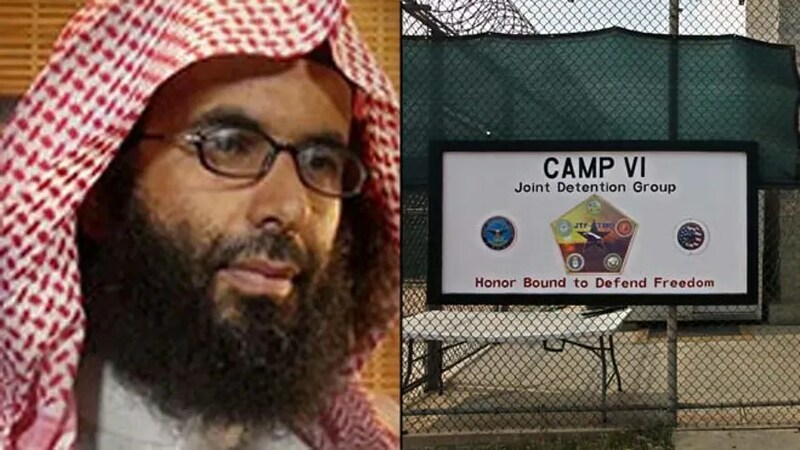 Even in a best-case scenario, where they sincerely thought the Saudi “rehab” program would straighten him out, they were badly, badly wrong in their judgment.